As more enterprise CIOs and CTOs embrace hybrid multi-cloud deployment strategies, business technology vendors and cloud service providers must continue to evolve their go-to-market approach -- in recognition of the prevailing IT infrastructure investment trends. 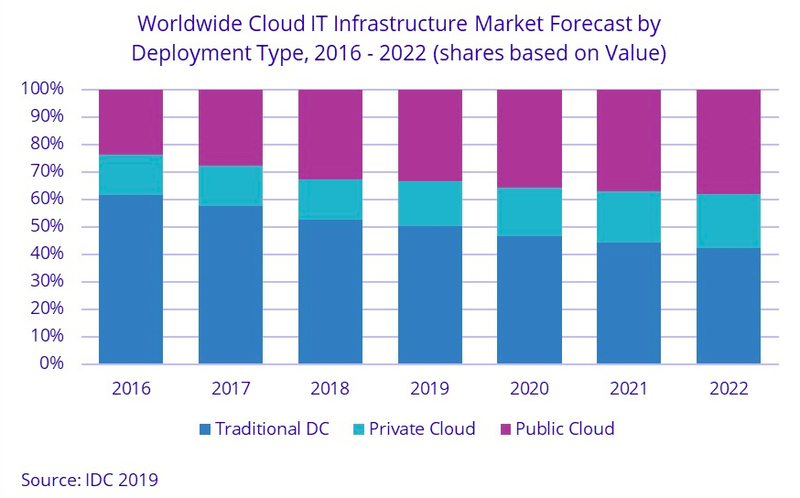 "The first three quarters of 2018 were exceptional for the IT Infrastructure market across all deployment environments and the increase in IT infrastructure investments by public cloud data centers was especially strong driven by the opening of new data centers and infrastructure refresh in existing data centers," said Natalya Yezhkova, research director at IDC. Public cloud data centers will account for 66.3 percent of this amount, growing at a 13.6 percent CAGR. Spending on private cloud infrastructure will grow at a CAGR of 12.6 percent.